CEOs from three big U.S. chipmakers made unexpected career exits for improper behavior in the last two months alone, some on the job barely long enough to get their new business cards. 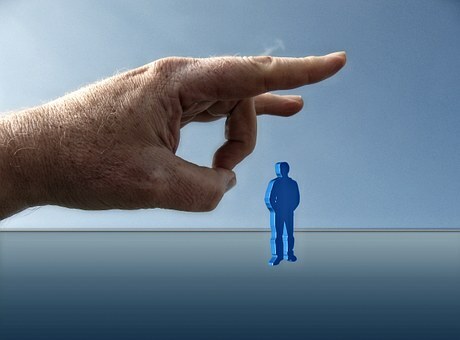 Crutcher joins Rambus’s Ron Black and Intel’s Brian Krzanich in being shown the door this summer by increasingly vigilant boards and a realization that even those at the very top are not immune from the #metoo movement. Not that long ago, denizens of the c-suites, particularly CEOs, could skate by anything but the most severe allegations. The bar for removing execs has dropped along with everyone else. And as we see in this case, the consequences can be swift and severe – Crutcher was cut loose after more than two decades at TI with no severance. It has been a long time coming, but as a result of boards now rigorously taking action on complaints related to sexual harassment, many who previously felt fearful of coming forward, no longer do. Therefore, one can expect more complaints of this nature, and more top executives to fall. Writes the Dallas Morning News: Emboldened by the growing list of high-placed executives laid low – many by the #metoo movement – those who see something are increasingly open to say something, at times leading to dramatic results. And boards of directors, once derided as being mere appendages of the CEO, have stepped up their response to personal conduct violations and are showing even wunderkinds the door. For businesses, sweeping bad behavior under the rug to protect the figurehead is simply no longer an option. The first priority for boards in most cases is to take action in response to misconduct and deal with succession planning and PR subsequently. Barring unexpected new revelations, it’s unlikely that TI – a corporation known for its button-down culture – will suffer lasting PR damage from this move. In terms of the executive employment landscape, beware to any Master of the Universe living under a rock who may not be aware of this new reality. The bottom line is that while not all affairs are frowned upon by a board of directors, senior executives in any relationship or inappropriate communication with a coworker, vendor, customer/client, investor, or anyone else involved in the business, is certainly at risk. These relationships invariably violate company sexual harassment policy, or perhaps another policy regarding conflict of interest. All executives would be wise to steer clear of any such relationships even if they are not the aggressor. This entry was posted in CEOs, Complaints Against Executives, Corporate culture, Executive contracts, Executive Management Style, Workplace Romances and tagged CEO, CEOs, executive, executive compensation, executive contracts, executive employment, executive employment lawyer, executives, Joe Ahmad, litigation, workplace romance. Bookmark the permalink.